Mr. McCauley is a graduate of the United States Merchant Marine Academy, holds a U.S. Coast Guard Master’s license for ocean-going vessels and has served on twenty-two dry cargo, tanker, passenger, towing, and U.S. Navy vessels. For over 35 years he has handled virtually all types of maritime and related commercial and insurance disputes. His practice focuses primarily on major casualty, complex litigation and arbitration. In the maritime area, he specializes in personal injury and death claims, collision, pollution, general average, salvage, recreational boating and yachting, shipyard disputes, charter party and commercial disputes, marine finance and foreclosure. He also leads the firm’s oil pollution and catastrophe response team. In addition, Mr. McCauley also has broad experience in the handling of both marine and non-marine insurance and reinsurance coverage disputes and litigation, including those involving hull, cargo, energy, marine, construction contracts and shipyard casualties. 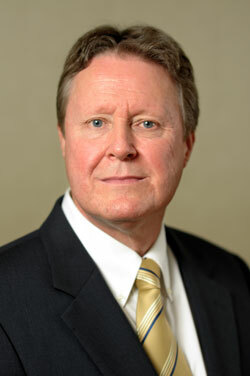 He has authored articles on foreclosure and has lectured on a variety of maritime and insurance law topics. Mr. McCauley is the former Chairman of the Recreational Boating Committee of the Maritime Law Association of the United States. He has served as an officer in the U.S. Naval Reserve and holds an air pilot’s license from the Federal Aviation Administration.